A friend and I were finishing up an early bicycle ride before the heat set in when we noticed a California Sister butterfly. We had just finished our climbing for the day. Our water bottles were empty so we stopped at a water spigot on our way down Stunt Road to refill them. The area around the water spigot was damp. The butterfly was repeatedly fluttering around the damp are then landing. I thought s/he might be getting a drink as well. 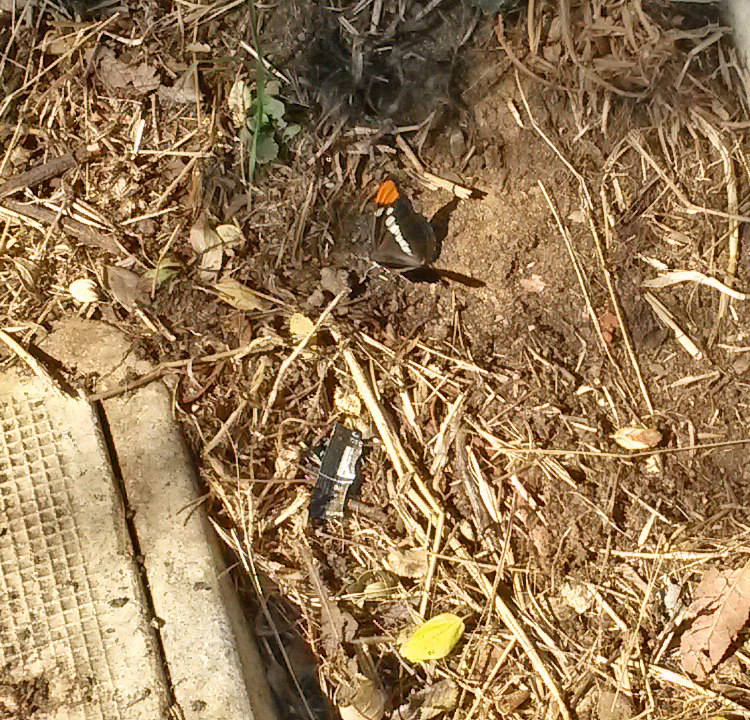 Perhaps s/he was a he, because males are known for their mud-puddling in mid-morning. The California Sister’s host plants include several varieties of oak. I think, based on the geographic distribution of the shrub and tree respectively, that this butterfly may have spent its larval days munching on the leaves of a coast live oak or canyon live oak.